Search for all "WB Goat IgG DAB Chromogenic Kit (Yellow)"
1. Blocking Reagent: 2×10g protein dry powder. 2. 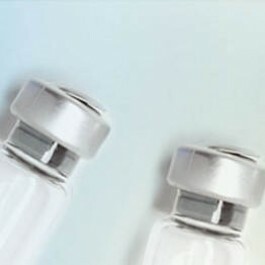 Concentrated antibody diluent solution: 20 ml/bottle. 10×. 3. Polymeric peroxidase‐conjugated rabbit anti‐goat IgG: 0.2 ml. 200‐400×. 6.•Wash Buffer: Add 0.5 ml of TWEEN 20 into 1000 ml of diluent buffer. • “Goat IgG” refers to the origin of animal species of the primary antibody, not the origin of the specimen. This kit applies to the primary antibodies raised from goat.• Store the kit at 4°C for frequent use, or at ‐20°C for infrequent use. The shelf life at ‐20°C is one year.• Chromogenic reagent A should be stored at ‐20°C. If crystal appears, fully dissolve it before use.• Chromogenic working solution should be freshly prepared. ‐20°C for 1 year. DAB reagent should be protected from light.